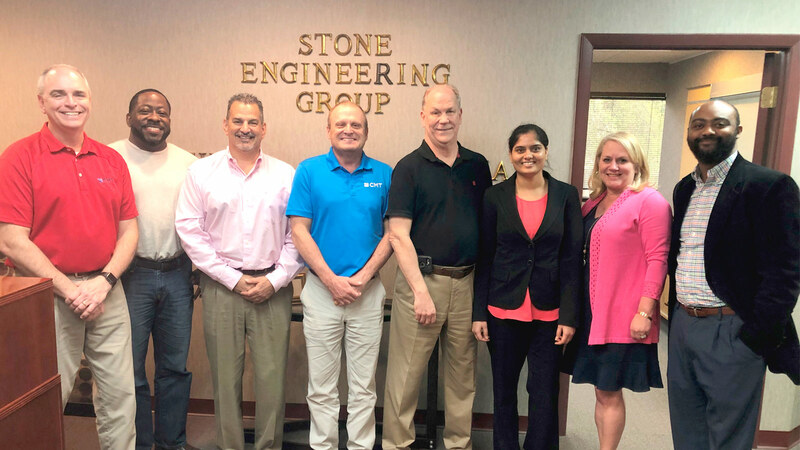 Crawford, Murphy & Tilly (CMT) is pleased to announce that employees from Stone Engineering Group (SEG) of Jacksonville, Florida joined the CMT team on Monday, March 18. The Jacksonville office is the second in the Sunshine State. The acquisition was finalized in Jacksonville on Friday, March 15. For over 30 years, SEG has served state, municipal and private clients in the transportation, water, storm water, site design, and construction inspection services areas. They have long-standing relationships with municipal clients in the northeast Florida area and the Florida Department of Transportation (FDOT). In 2014, the firm was awarded the American Public Works Association (APWA) Consultant of the Year Award for Transportation in the State of Florida. “The consolidation of SEG and CMT provides an opportunity to broaden our service offerings to existing clients, and to compete for challenging and larger projects in the Florida market. said Gary Sneddon, who served as President of SEG and will be the manager of the CMT Jacksonville office.